On this day in 1815, the world’s first cheese factory began production in Switzerland. The Emmentaler variety, with its distinctive holes that Americans think of as “Swiss cheese,” is produced in a valley east of Berne, using milk from cows fed only hay or grass, no silage. But it is only one of more than 450 types of cheese produced in the mountainous nation barely the size of South Carolina. 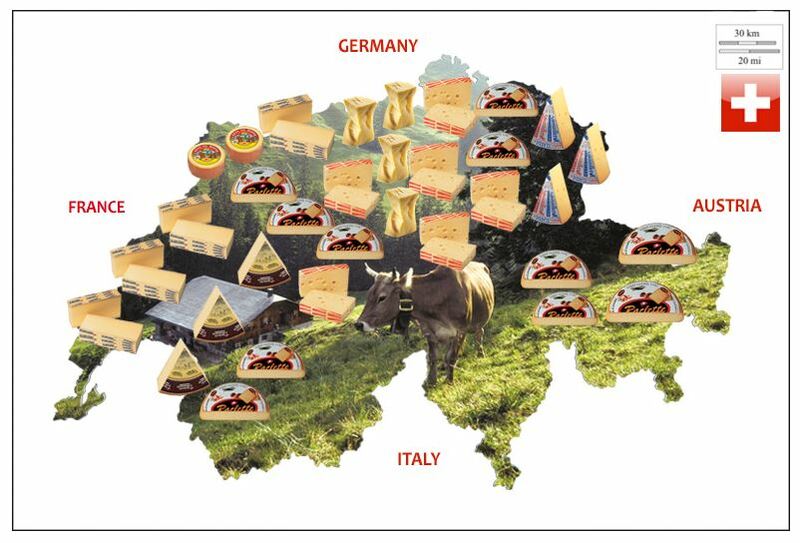 The map links to this website, and offers a few of the most popular cheeses from Switzerland.